I feel like alot of people want to go natural but don't always fully understand what they're walking into. Likewise, many people who are natural for a while get frustrated and decide they want to return to relaxers on a whim--forgetting ultimately why they chose to go natural in the first place! Meaning, they've forgotten what effects relaxers had on their hair. Some people also love to debate as to whether one state is easier to deal with than the other. To me, that answer is not straight forward. Since I'd like to think of myself as successful, both as natural and as relaxed, I'll give my personal account, comparing and contrasting both states to give a better sense of the pros and cons. Natural and SLS-free shampoos and conditioners are probably the best for either hair type. Deep conditioning is necessary for both types but for different reasons. Relaxed hair is damaged so it needs to be cared for properly. Natural hair needs conditioning to make it easier to manage. Whether natural or relaxed I have always deep-conditioned my hair, using the same products and the same time-frame (20 minutes to an hour). I will add though: alot of people find success with washing their hair 2 or more times a week with conditioner only (co-washing). While natural I found frequent washing and co-washing was great for defining my curls but it caused build-up and forced me to manipulate my hair more often than I wanted. Basically, it works for some but not me. Firstly, always detangle starting at the ends. Second, this was the first deal-breaker for me and natural hair. Although natural hair (once you figure it out) is not difficult to detangle, it is time-consuming should you not want to risk ripping out strands of hair. I had a lot of hair (armpit length) before relaxing so this was not something I was willing to spend time doing. Relaxed hair can tangle alot (well mine does) so it isn't without it's own drawbacks. But this process saves me time now. Except when I'm 6 weeks-post relaxer. Then it's almost the same as being natural time-wise. I'm pretty lazy about styling my hair. I like things to be easy and simple but I still want to look like I put effort into my appearance. 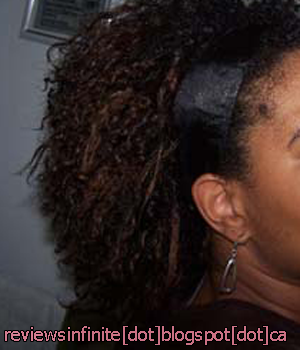 As a natural it was impossible for me to wear my hair out because of my tangle-prone hair. Wash and Gos were absolutely not happening. Braid outs were great sometimes but to me having to set my hair at night for it to be wearable (and not tangled) the next day was not worth the time. Pulling my hair back? Near impossible because my fro was extremely thick. My favourite style was two-strand twists or flat twists with a bun. But of course every week I washed my hair, and then I would have to re-twist my hair. My hair was getting long and it was taking 2 hours to detangle and style every week, not including the 1 hour wash and condition. I sure loved those twists though! 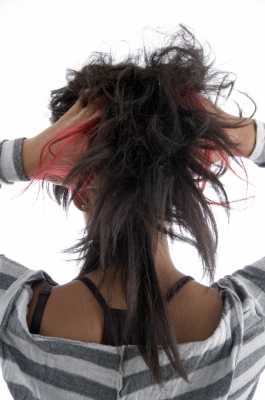 Relaxed hair can be easily pulled back into one or combed out but it is very susceptible to breakage. It may be hard for some to keep curls in relaxed hair. My hair is texlaxed/underprocessed so it still has some texture in it and curls pretty well without too much product. Sometimes I get bored of my hair now that it's like this because it's not as fun as playing with natural hair. The reward though is I can see my true length without shrinkage at least. Well pretty much the same products I used as a natural I use as a relaxed head. I have and continue to shampoo and deep condition weekly. Occasional protein treatments have always been a staple for me. 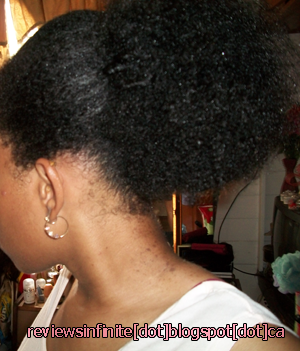 One thing I will say about relaxed hair: it will never be truly healthy. My hair as great as it looks, always looks a little off and a little weak compared to what my natural hair was. Maintaining the perfect balance of strength and moisture is a royal pain in the arse. I do notice my ends thinning from time to time, or get inexplicably dry. No matter what anyone out there says, no matter what you do or what you buy, I think ultimately relaxed hair will eventually break off. The key is to minimize the loss as best as you can. Relaxed or Natural, low-manipulation is soo important! Either way your hair is can develop breakage issues and both require care. Doing less with your hair and using less heat is the one surefire way to retain length and hair health. Also, there is a bit of a half-truth/half-lie out there that with natural hair you don't have to worry about the rain as much as you do with relaxers. When my hair was pressed/flat-ironed it was frustrating trying to keep my hair straight as long as possible. To me, if you want pin-straight hair all the time--you're better off relaxing. 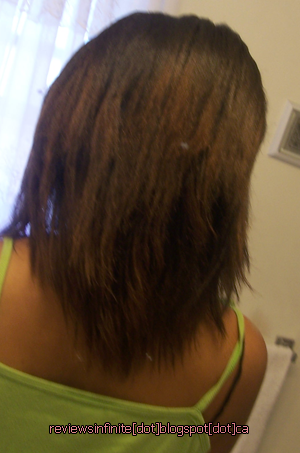 Flat-ironing my natural hair was pretty damaging. Generally when it comes to getting hair wet, natural hair can handle the stress better than relaxed hair because it isn't usually as porous. Learn more about porosity here. Even though I'm relaxed now, I almost never wear my hair straight. I mostly wear protective styles, braid-outs or buns. One HUGE misconception I found out there is that natural hair is cheaper than relaxed hair. Although generally it is, it isn't always. For instance, if you are natural but like to rock braids, weaves, locs or any style that needs to be maintained by a person other than yourself, it can get expensive. Additionally, if you aren't into making your own products, many products geared towards natural hair are very, very expensive. That being said, there are great products a natural can buy on a budget. It's all about preferences and what is available to you. Currently as a relaxed head, I use many of the same products as a natural so on face value I spend more (products + relaxer touch-ups). I also used to (I still do but not as much) make my own hair butters for twisting my hair. But I no longer get my hair braided (cost me $100s). I also don't use as much product at a time. I used to need ALOT of conditioner JUST to detangle my hair and ALOT of leave-in just to keep it moist and manageable for ONE DAY. Another factor is when you are experimenting and trying to find the right product to do the right thing for your hair--the search alone can be expensive. If you can simplify your regimen, relaxed or natural, the costs can be manageable. Remember too, the bigger/longer your hair gets the bigger the cost. Without a question, natural hair is the best for natural living. I hate that relaxers are loaded with caustic and toxic chemicals. I do try to reconcile this with trying to eat as cleanly as possible, in addition to using natural hair and skin products when I can. I know ultimately in the future, this reason among others will motivate me to be a natural again. One thing no one ever includes in a comparison like this is the impact other people can have on your hair decisions. Whether it is work, family, friends, school, people you date/spouse or random strangers on the street, other people will have an input. The determining factor is whether you are willing to listen. When it came to most of my family (especially my mom), they didn't really support it. My friends did. I actually managed to convince them to go natural themselves! My dad, boyfriend and coworkers were indifferent. So the reaction was mixed. I would be lying if I said I didn't stress about how to wear my hair for special occasions or whether my braid out would turn out right the next day (natural hair can be so unpredictable). Although relaxed hair makes it easier to "fit in" sometimes, having 2 months of new growth can be just as challenging as being fully natural. Furthermore, it doesn't help that you have to rely on a stylist to be available whenever you need your hair done. Natural hair gave me total peace of mind because I never had to rely on anyone. But if I wanted my natural hair "done" there were very few professional options. But then that's what wigs are for! Ultimately, it was up to me and how I felt about my hair. I came to the decision to relax again by my own choosing. I was tired of spending 3 hours detangling and styling my hair, and that was thee determining factor. The maintenance was virtually the same deal, besides having to visit a salon periodically for touch-ups. I only do this about 4 times a year. 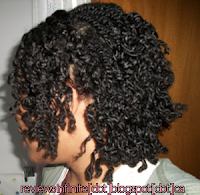 Read why I stretch relaxers here. I think anyone deciding to go natural (or go relaxed) simply needs to weigh the pros and cons and rate what matters most to them. This is not intended to dissuade anyone from going or staying natural, but rather to help people make informed choices without the shock and regrets that can come with it. I encourage anyone who is natural and considering relaxers to consider carefully. Being natural is ultimately the best thing for your health and health of your hair. FINALLY....Neither is easy to manage at first but without a doubt, I would not be able to have thriving relaxed hair without having first mastered caring for it while natural.